Dr Vajna Rafeek is our Practice Principal who leads our fantastic team of doctors to strive towards providing holistic care in family medicine. Vajna is a warm and knowledgeable doctor who draws great strength from her innumerable years of experience both in Australia and abroad. gynaecology and obstetrics. Vajna was thrilled to be part of the team pioneering IVF pregnancies in Sri Lanka. In 2001, Dr Rafeek embarked on the journey to the United Kingdom to pursue postgraduate qualifications and broaden her medical experience. 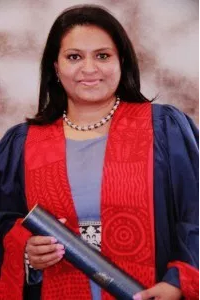 In the UK, she joined the National Health Service where she undertook training and worked for several years in multiple departments including Obstetrics and Gynaecology, Paediatrics, Emergency Medicine, Anaesthesia, Intensive Care, Geriatrics and General Medicine. In 2007, Dr Rafeek moved to the sunny shores of Australia. Vajna has experienced many aspects of the Australian health system including working in Victoria’s busiest emergency department in Northern Hospital. She has also enjoyed her training in Australian General Practice and obtained her Fellowship of the Royal Australian College of General Practitioners. Vajna continues her interests in obstetrics and gynaecology by providing shared maternity care for women in partnership with Northern Health, Western Health, The Royal Women’s Hospital as well as the Mercy Hospital for Women. Vajna also has a special interest in skin conditions and regularly conducts Skin Clinic. Vajna is fluent in English, Tamil and Sinhala. Outside of medicine Vajna is interested in culinary art, interior décor and sewing. Dr Edith Millawana Atapattu is a friendly and affable doctor with extensive medical experience. 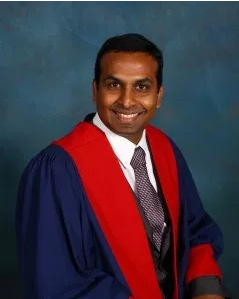 His medical career spans the globe, having worked in hospitals in both England as well as Australia in many specialities such as Paediatrics, Emergency Medicine, Anaesthesia, Intensive Care, Geriatrics and General Medicine. Dr Atapattu continues to hold part time positions in public hospitals and enjoys staying up to date on the latest medical trends and evidence. 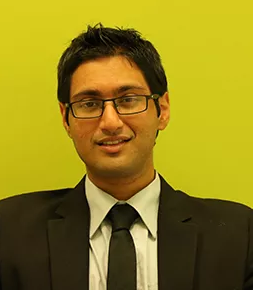 He is a well-rounded General Practitioner whose interests in emergency medicine, men’s health, paediatrics as well as preventative health allows him to practice holistic family medicine with ease. Dr Atapattu is fluent in English as well as Sinhala. Dr Zaveer completed his undergraduate medical training in Pakistan. His extensive medical experience includes working for numerous years in Sri Lanka as well as in Australia. He has broad experience having worked in General Practice as well as Emergency departments and Hospital wards in many different hospitals. His career in Australia began in Wagga Wagga Base Hospital where he worked extensively in Emergency Medicine. Currently he is a full time member of our team of doctors at First Point Medicals, however he continues to enjoy working for short periods in regional Australia to keep in touch with his skills as an emergency doctor as well. Dr Zaveer is an avid sportsman and played cricket and football up to university level. He is also proficient in multiple languages such as English, Tamil, Sinhalese and Urdu.